Jetlag, also known as desynchronosis, is a temporary disorder, resulting from air travel across time zones. The hypothalamus of the brain acts as an alarm clock, regulating and activating body functions like sleep, hunger, thirst etc according to the time schedule to which the body is habituated. The fibers of the optic nerve in the eye transmit the perceptions of light or darkness to the time keeping section of hypothalamus which then directs the body to act accordingly. 6. Sitting static on a plane chair for long hours. 1. Drink plenty of water on a flight. Take a glassful after every hour. This is the best way to keep jetlag at bay. 2. Mix few drops of rosemary oil in half cup water and drink. This is an effective home remedy for jetlag. 3. Drinking valerian tea wards off jetlag symptoms. 4. During the day, take thorough sun baths. This prevents jetlag. 5. Take juices during flight and keep your body refreshed and fully hydrated. This checks jetlag. 6. During extended stopovers or transit breaks, try to take showers. This lessens the possibility of jetlag. 7. Have a good sleep before boarding the plane. This will help you to avoid jetlag. 8. Once you sit on plane chair, stretch your legs and kick off your shoes to release pressure from feet. This is a useful jetlag remedy. 9. Do not overeat before boarding plane. 10. Eat little but consume carbohydrate or protein rich diet, for it will help you to sleep soundly on flight. 11. Avoid intake of alcohol or caffeine on flight or before. 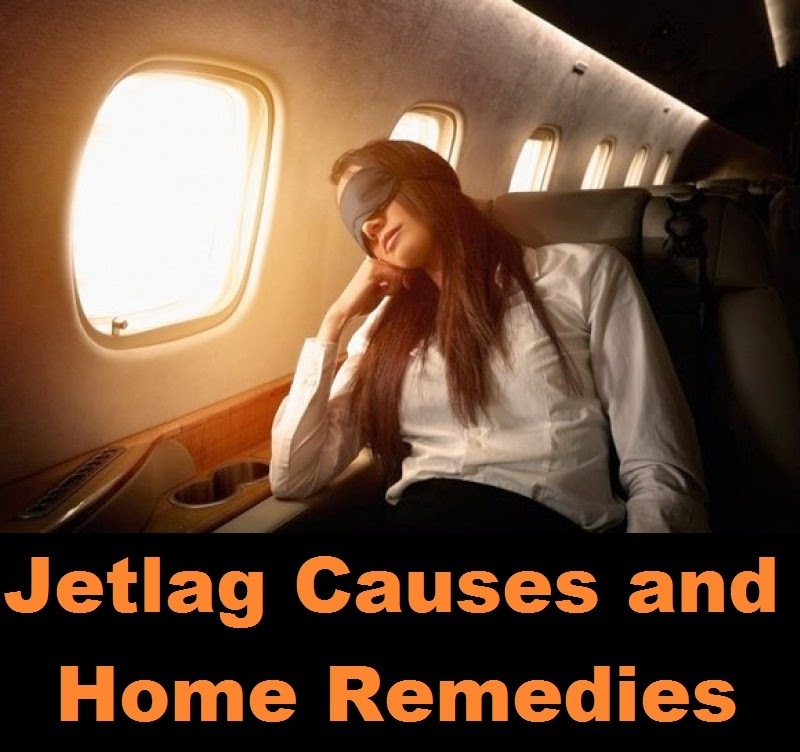 These simple home remedies and precaution help you prevent or cure jet lag problem.